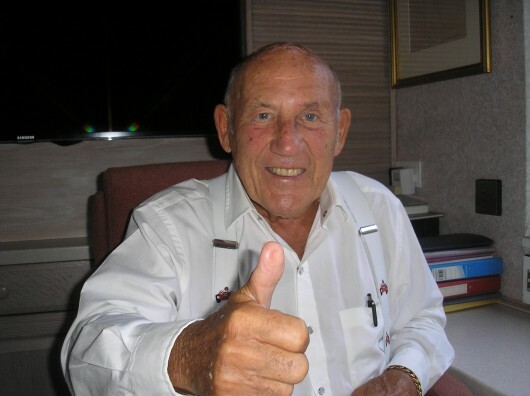 Sir Stirling Moss OBE, better known as ‘Mr Motor Racing’, is arguably the greatest all-round racing driver of all time and a true icon of the motor racing world. I first met Sir Stirling and Lady Moss one very sunny afternoon in Mayfair a few short weeks ago through Christine Mills MBE, Founder of the Hope for Tomorrow charity. Stirling and Susie are Patrons of Hope for Tomorrow. With a warm and friendly smile and humble manner it was hard to believe that I was sitting across from the man who, out of the 375 competitive races in which he finished during his professional racing career, won an astonishing 212 – including 16 Formula 1 Grand Prix victories. He raced 108 different types of car, across all classes of motor sport, during his remarkable career, which spanned 3 decades. His victory in the 1961 Monaco Grand Prix, racing a Lotus 18 against the more powerful Ferrari's, was his third Formula 1 victory around the Principality and is still regarded as one of the best Formula 1 races ever. I found it ironic when Sir Stirling complimented me on the gutsy nature of the challenges ahead – this coming from a man from an era when life expectancy was measured in years and months and from someone who I feel represents all that is best in a sporting hero today. I suggested that he come and join the expedition as a Sherpa but he politely declined. As one of the Patrons for Hope for Tomorrow, Sir Stirling launched the first Mobile Chemotherapy Unit in February 2007, which is now fully operational and visits hospitals in Gloucestershire and Herefordshire. 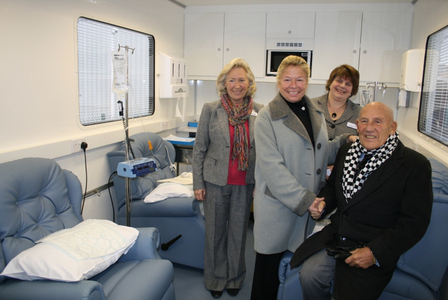 In December 2010, Sir Stirling launched a second Mobile Chemotherapy Unit for Somerset, which he affectionately named 'Bumble', after his late Mother-in-law, who sadly lost her battle against cancer in 2006. A further 2 Units are now in operation covering Wiltshire and Hampshire. If you were to go on an expedition for 2 months and hand-picked a team of individuals to be on your team, who would you pick and why? Stirling: "The first member of my team would be my wife Susie. I would never go anywhere without her and she is not only my soul mate but also my memory! Next would be Ollie Bradley, my grandson. He is such an academic and sporting all-rounder that I know he would be able to defeat any challenges we may encounter. At 14, he has youth on his side so he can keep going when the rest of us are dropping. Our son Elliot would have to be with us to keep us all fed with restaurant quality dishes. He trained under Michel Roux Jr. and is a highly talented chef. He is also immensely fit and incredibly strong from his body building so he would be able to carry all the kitchen equipment he needs! Francis Wells and Professor Sid Watkins would be a must to cope with our medical requirements. Both very good friends, "The Doc" is a heart specialist who would know how to deal with high altitude and Sid has overseen a lot of the operations I have had over the years so knows my body as well, if not better than I do. The entertainment would have to come from Marty Henne who is far and away the best musical entertainer I have ever seen. He is American and we met about 15 years ago when he was performing on a cruise ship. Susie even booked him as a surprise for my 80th birthday party. His wit and talent would be loved by everyone of all ages. Richard Frankel, who is a friend of ours, has a tremendous sense of humour and some of his emails have us doubled up with laughter, so he would have to come along to document the trip and write the Blog." What was the biggest mountain that you've ever climbed - either figuratively or literally? Stirling: "Accepting that I had to work for a living when I was only 32 years old, following my crash at Goodwood in 1962." Photo taken in "Bumble", one of the Chemotherapy units named after Sir Stirling's late mother in law.